Our ceiling mounted garage shelving systems are so versitile, you could virtually create a second floor space hanging from your ceiling! 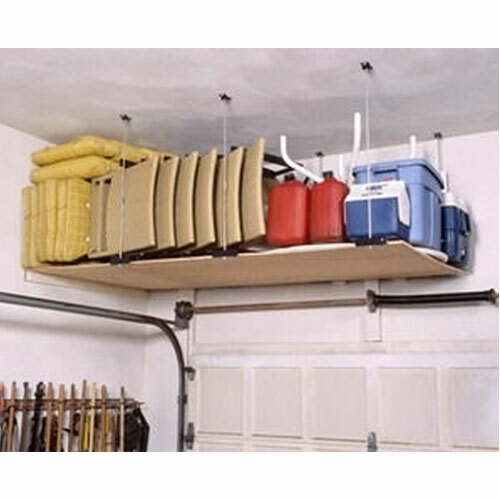 TidyGarage® ceiling mounted garage shelving systems are ideally suited above garage doors and can be easily mounted parallel or perpendicular to your ceiling joist. Supports up to 300 pounds, and store up to (85) eighty-five cubic feet. 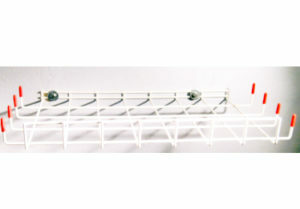 Distance between shelf and ceiling is adjustable from 17 to 30 inches. 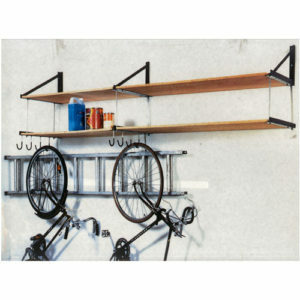 You can connect multiple (4) four feet by (4) four feet and (8) eight feet by (8) eight feet lofts together, to custom design your storage area. 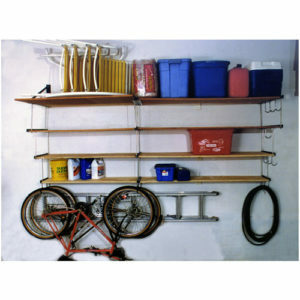 Add multiple levels of shelving or expand your system at a later time for complete customization. 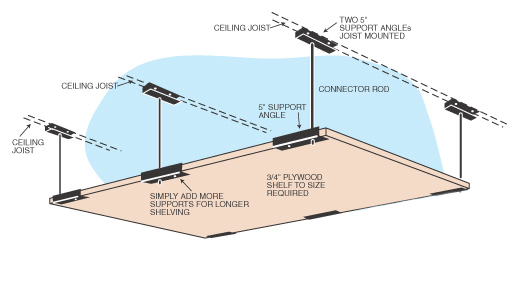 Shelf Mounting Support Angles must be installed parallel or perpendicular to your ceiling joist(s). Failure to install the support angles to the foundation structure of your ceiling, may result in significant damage to the entire structure. Please take care in this regard. 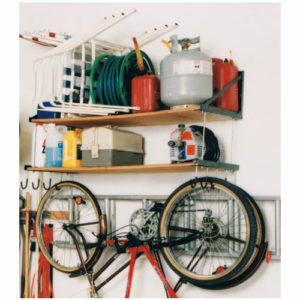 With the bracket supports able to hold a maximum load of up to 300 pounds, and store 85 cubic feet, you can easily adjust the shelving height anywhere from (17) seventeen inches up to (30) thirty inches.